Condition is very good used. Barbour Country Check Shirt 2XL, Brand new with tags. Unwanted Bth'Day Prezzie. 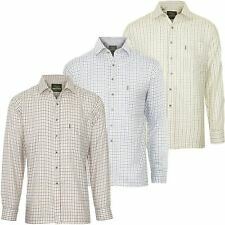 New with tags Mens Large 16” - 16.5” collar Champion Tattersall Country Style Check Long Sleeved Shirt. Red check.100% cotton. Grandad style fastening. Mushroom beige colour. With chest pocket. Long sleeves are finished with single cuffs. LE CHAMEAU COUNTRY GENTLEMAN'S CHECK SHIRT - SIZE XXL - CHEST 54"
Grey polo shirt with Black Country emblem. 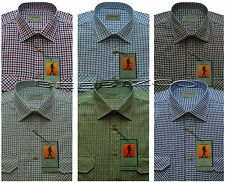 Double Two long sleeve tattersall check brushed cotton country shirt 18”. Condition is Used. Dispatched with Royal Mail 2nd Class. 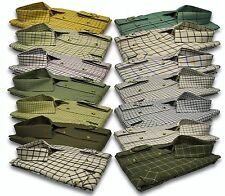 Excellent quality shirt Breast Pocket Spare buttons Suitable for cuff links Any questions please ask-no returns! Payment by PayPal please Thank you for looking-Happy Bidding! Similar to the tattershall shirts made from Barbour etc. It has been worn but it is still in perfect condition, there is no marks or defects to it whatsoever. Ideal for anyone who loves this style of shirt for casual occasions. Mens Large Rydale Country Life Checked Shirt. Fits like XL 23" pit to pit. Condition is Used. Dispatched with Royal Mail 2nd Class. Please check other designer shirts I have listed, having a clear out due to weight loss. Happy to combine postage where possible. International through EBay Global shipping programme only. Vintage Barbour Check Button Down Collar Shirt Size XL Casual Country. Condition is EXCELLENT/ Gently Used. Dispatched with Royal Mail 2nd Class.